A Lego piece really is quite an amazing plastic marvel if you think about it. So simple yet so complex. They really are one-of-a-kind. But the best thing about these construction pieces is just how original you can be with them. Never has one toy been so synonymous with creativity. The theme of creativity and individualism is at the core of The Lego Movie. At the start, we are introduced to Lord Business (Will Ferrell), who has just acquired the “Kragle” by forceful means. The wizard and protector of it Vitrivius (Morgan Freeman), describes a prophecy that will see the rise of a “Special” take down the evil baddie. Eight and a half years later, we are introduced to Emmet Brickowoski (Chris Pratt), a nondescript construction worker who lives his life with instructions and not one creative thought in his thinking cap. One day after work he sees a breathtaking woman and loses all sense of awareness (it happens), and subsequently falls into a hole and hallucinates after touching a weird red piece. Upon waking and now having “the piece of resistance” attached to him, a good cop/bad cop (Liam Neeson) is there to interrogate Emmet on behalf of Lord Business (Will Ferrell) and end the resistance. Before Brickowoski’s impending end, he is saved by Wyldstyle (Elizabeth Banks), and learns of his destiny as the special—master builder—to rise against and stop Lord Business’ plans to eradicate creativity and freedom by encasing everything and everyone in Kragle. Yep, superglue. With no creative juices to speak of, is Brickowoski really the special the prophecy described? And if he is not, can he learn to be? 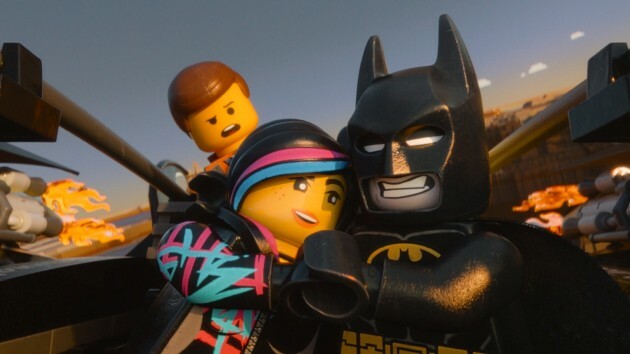 For being primarily a kids movie, The Lego Movie really does have something for all ages. The plot is serviceable, not great, but it does have enough to keep your interest. What it does have is numerous movie references and subtleties. I immediately saw The Matrix elements in this film, but Austin Powers, Jurassic Park, The Dark Knight, The Lord of The Rings, 2001: A Space Odyssey and even Fight Club (just my opinion) all either were indirectly mentioned or featured plot elements. Some of the cultural aspects present in the film, such as media and corporation give a light satire vibe to the film, but not too heavy for the material. It is a bit amusing and dare I say introspective at the same time. I thought the previously mentioned themes were a nice touch. While there is a root message of creativity, it never feels like you are getting beat over the head with it. 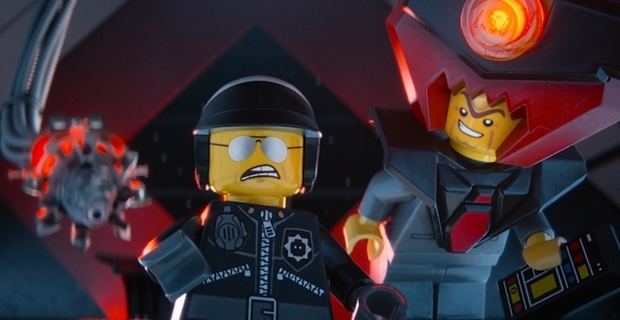 The Lego Movie does a noteworthy job of showing both sides of collectivism and individualism. While it is very important to be your own person and come up with your own ideas, at certain times teamwork is needed to recognize the greater good. This was my first foray into Lego media, as I have never seen a Lego cartoon, straight-to-DVD movie, or played any of the games. For the first five to ten minutes, I was unsure if I liked the animation as it just felt so different from what I am accustomed to seeing in animated films. After those 10 minutes, my concerns were alleviated. The movie looks tremendous, and the stop motion was awesome. While there are some live action set pieces (presumably the fight scenes), most of it is done in stop-motion. To see the water, fire, smoke, etc. all construct and deconstruct with Lego effects is beautiful. I am confident this film would overall not have been as awesome if its effects were realism based. While not a huge advocate of 3D, I feel I have missed a massive opportunity with this film to see it in that way. I’m sure it would have enhanced my viewing experience. The voices for the characters were cast perfectly, and especially high marks go to Will Arnett with the perfect Christian Bale rendition of the Batman voice. My expectations were somewhat high with this movie after hearing all of its praise. Most did meet them, but a few left me disappointed, namely the plot and the humor. Again, the plot is not terrible, but for the first two-thirds of the film, I just did not find myself engrossed with it for whatever reason. Perhaps it had something to do with me going alone and not with a younger person, as most in my theater were families. I will say that I loved the last third of the movie; I did not see it going that direction but it reminded me of my old man and I when I was a young tyke. As for the humor, while there are some funny moments, a few are hit and miss. I recognize humor is subjective though, so this probably will not apply to most. Still, this is the first major hit of 2014. All ages should find something to like about it, and it is a pretty safe movie for families during this time of brooding Oscar films and romantic sappiness. Quite a huge coup for Warner Bros. Animation, which hasn’t had a hit since 1996’s Space Jam. The Lego Movie is the film the world deserves, and the one it needs right now. We gave it the same the grade. I guess that means we basically agree. Incidentally, I saw it in 3D. They used the technology mostly to create depth, instead of to have things fly in our faces, a fact I appreciate. But, I still doubt the 3D was necessary. My guess is we had similar experiences, even though you saw it on 2D. You’re right. It probably doesn’t make a difference in the end, but if price isn’t a concern (and it usually is lol) then maybe ponying up for 3D admission is worth it. 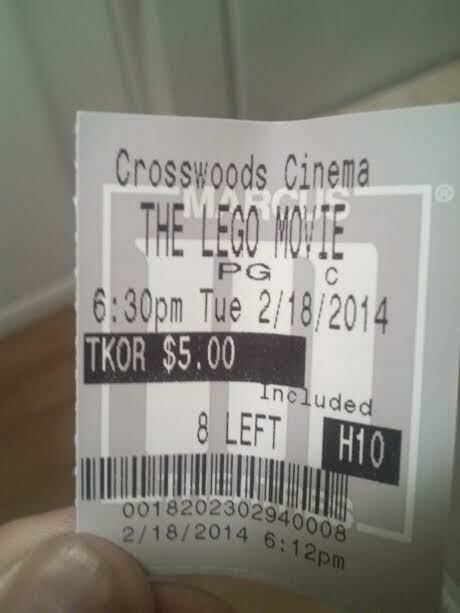 I think the depth aspect is awesome, and 3D for some reason sounds like a perfect marriage with the Lego Movie to me. Good review Jackson. Such a fun movie that I feel like almost every person could enjoy. Thank you sir. It’s an entertaining change of pace from the brooding (lol Batman) Oscar movies I’ve watched lately. Endears itself to all ages. Lord and Miller’s sensibilities are continually clever, and The Lego Movie works hard to gradually deliver surprising payoffs to what seem to be throwaway bits.